And finally we reach the last release of the season. This time and closing this year's catalogue, we receive the work by British artist Nigel Samways. Mirror is a 25 minutes EP that combine field recordings and electronics. The album is another example of the specific sound of Samways. Samways has been really involved with the netaudio scene releasing material on various netlabels such as Camomille, AudioGourmet or Experimedia. As well Samways has released various physical releases with Hibernate, and soon heâs going to release a collaboration with our dear Ennio Mazzon, at Ripples Records. In the meantime we can enjoy "Mirror". According to Samways this album is about all the things we aren't listening around in our immediate environment. 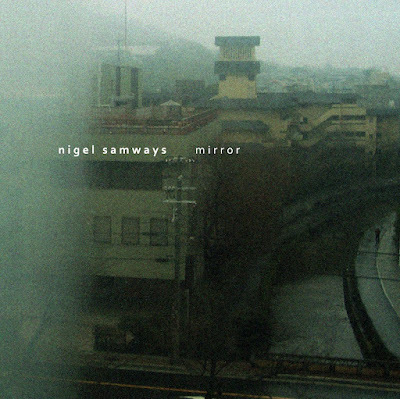 Samways tells us that all tracks are considered as spectres or glimpses of a reality that sometimes is forgotten, even if it is there, staring at us. Effectively, Mirror is an album about blurry soundscapes, and muffled scenarios where we can have a grasp of various sound environments but still we get just a few parts of the whole thing. Spectre is a celebration of ambient drone combined with soundscapes and field recordings that show up here and there. From my point of view, Mirror is like when you are looking through curtains in a windy day and you gate intermittent images of the street, depending on the movement of the curtain. Mirror is a game of perceptions, of hidden scenes and shady landscapes and subtle drone melodies. Produced and arranged by Nigel Samways, 2011.